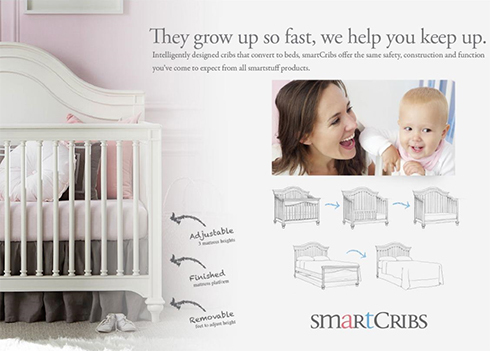 Beautifully and intelligently designed, these cribs will take you from crib to college! Save time and money by converting your crib to a toddler bed, daybed, full size bed, and full size bed with storage. These new smartCribs by Smartstuff include unique features to make your life that much easier and beautiful! Removable feet allow the cribs to lowered for easier access for shorter moms and dads. Plus - these cribs include three mattress heights depending upon your child's age, size, and safety needs. Each smartCrib comes with a fun growth chart to track your child's growth through the years. 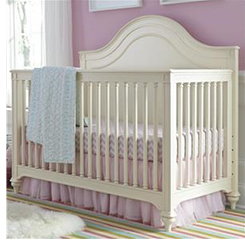 Find these cribs and more at Belfort Furniture - visit our Kids Showroom in Dulles, Virginia or shop online at BelfortFurniture.com.